Now there are ghosts everywhere and they won't leave me alone. To top it all off, I somehow got myself locked up in Lyle House, a "special home" for troubled teens. Yet the home isn't what it seems. Don't tell anyone, but I think there might be more to my housemates than meets the eye. The question is, whose side are they on? It's up to me to figure out the dangerous secrets behind Lyle House… before its skeletons come back to haunt me. 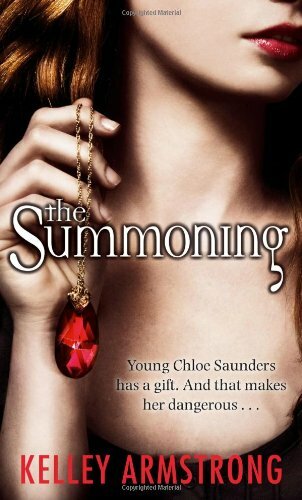 I thought the summoning was a really thoroughly enjoyable read and am very much looking forward to reading the next two in the series. All in all an excellent start to a trilogy that I can't wait to continue. I recently read this series too. Aren't we lucky that we didn't have to wait months for the next book to become available? You'll want to look for The Gathering after you finish this series because these characters are mentioned. Happy reading! I really need to read this! great review :) Don't be a stranger; stop by my blog and say hi! I'm not sure if we're fellow followers, but I follow you! Kelley Amrstrong is one of my favourite authors - and I love that her YA are as good as the 'regular' otherworld series! This trilogy is a great read - hope you enjoy the rest of the series! I LOVE this series! It's definitely in my top 5 favorite series. :) SO glad you enjoyed reading it!